Breathing Permit of Horus is created for persons who wish to understand this papyrus. The writing concerns itself with the afterlife of the Egyptian priest Hor. For this Web Site the spelling of "Hor" or "Horus" is for the same deceased person. This is a non-proselyting Web Site. The format of this site may be changed periodically. Before the time of Christ an Egyptian priest by the common name of Horus died. A papyrus scroll was prepared for him and placed on his breast with his burial wrappings. This particular scroll is variously known as the Book of Breathings, Sensen or Breathing Permit. It was a late rendition of the what is known as the Book of the Dead. The writing dates to about the second century B.C. Robert K. Ritner recently wrote, "The true content of this papyrus concerns only the afterlife of the deceased Egyptian priest Hor" ("The 'Breathing Permit of Hor' Thirty-four Years Later," Dialogue: A Journal of Mormon Thought 33 [Winter 2000]:101, hereafter as Ritner). The following translation of portions of this papyrus are from this article. Brackets [ ] indicate broken sections of papyrus with restorations from other Breathing Permits. Column 2: . . . Horus, justified, son of one of like titles, overseer of secrets, . . . Osorwer, justified . . . Column 5 on the left side of papyrus: [May you give to him] a good, burial on the west of Thebes . . .
Col. 3: [Amon]-Re, Taikhibit, the justified! May your ba-spirit live among them, and may you be buried on the west [of Thebes]. Col. 4: [O Anubis (? ), ...] justification (?). Col. 5: [May you give to him] a good and splendid burial on the west of Thebes as on the mountains of Ma[nu] (?). 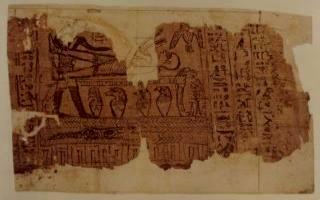 Right side of papyrus fragment contains instructions to wrap Horus. Left side begins Breathing Permit. (2) [Osiris Horus, justified], born of Taykhebyt, justified likewise. This continues the Breathing Permit written for Hor (Horus). See translation by Ritner. This illustration at the end of the Breathing Permit has six numbered figures. It is a judgement scene in the underworld court of Osiris. The figures are explained below from left to right. O gods . . . , gods of the caverns, gods of the south, north, west, and east, grant well-being to Osiris Horus, justified, . . .
O gods of the necropolis, gods of the caverns, gods of the south, north, west and east, grant salvation to the Osiris Hor, the justified, born of Taikhibit. Fifty Years Ago and the Egyptian PapyriThis is a pdf file. For translations of this papyrus, See Robert K. Ritner, currently Associate Professor of Egyptology at the Oriental Institute of the University of Chicago, "The 'Breathing Permit of Hor' Thirty-four Years Later," Dialogue: A Journal of Mormon Thought 33 (Winter 2000):97-119 [issue printed in 2002]. An illustrated version of the article is Ritner, "'The Breathing Permit of Hor' Among the Joseph Smith Papyri," Journal of Near Eastern Studies 62 (July 2003):161-80. See also Michael D. Rhodes, The Hor Book of Breathings: A Translation and Commentary (Provo, Utah: Foundation for Ancient Research and Mormon Studies, Brigham Young University, 2002). The latest book on this topic is Robert K. Ritner, The Joseph Smith Egyptian Papyri: A Complete Edition. Salt Lake City: Smith-Pettit Foundation, 2011. Limited edition. 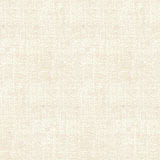 Also in paperback edition, The Joseph Smith Egyptian Papyri: A Complete Edition Salt Lake City: Signature Books, 2013. The Joseph Smith Egyptian Papyri: A Complete Edition by Robert K. Ritner. This is a pdf file.